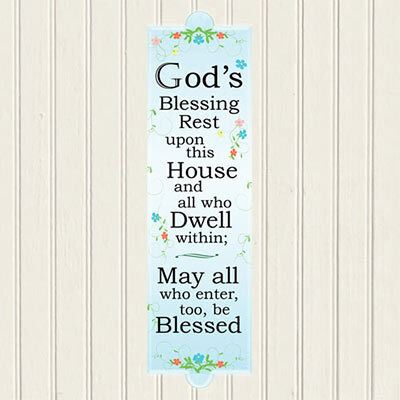 "God's blessing rest upon this house and all who dwell within; may all who enter too, be blessed." Such a beautiful and charming design lends itself to this universal message. Perfect for display on a door or wall. Metal sign features back hanger for easy hanging.